Reyes said he had returned to Guatemala 14 year ago and found work at a call center for Metro PCS, a cellular service provider. But the low pay and lack of opportunity for advancement had him pining for a return to the U.S., where he spent his teenage years. “It’s time for me to go back to the United States. It’s a country where I can live my life, unlike Guatemala,” Reyes told WaPo. President Donald Trump has warned that caravan migrants must apply for asylum in Mexico before trying to come to the U.S. Those who don’t will be turned away, he said Sunday. 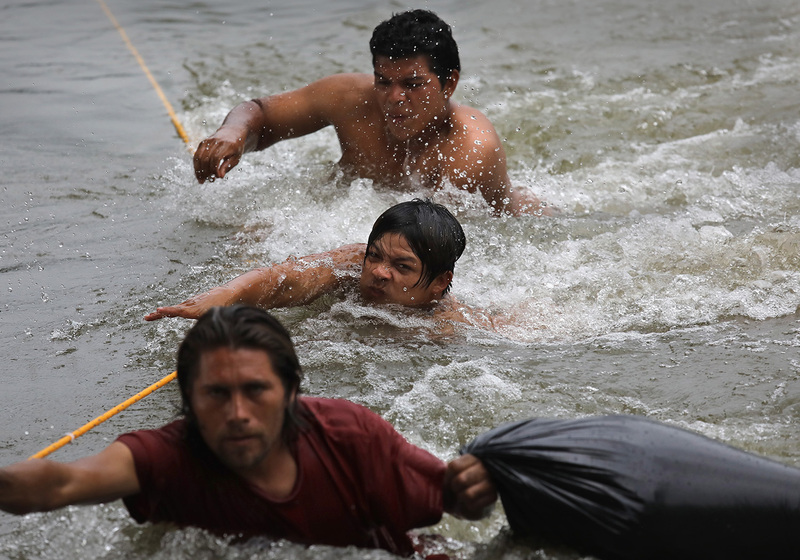 The Mexican government has offered to grant temporary humanitarian visas to caravan members in an effort to break up the mass of migrants into smaller groups. But the vast majority have refused to apply for asylum in Mexico, and Mexican authorities have largely allowed the migrants to continue their journey without proper documentation. “That’s just how it is,” caravan migrant Imner Anthony Fuentes told WaPo.